A Certificate of Deposit in India are issued by all scheduled commercial banks excluding (Regional Rural Banks and Local Area Banks) and all India Financial Institutions permitted by RBI. 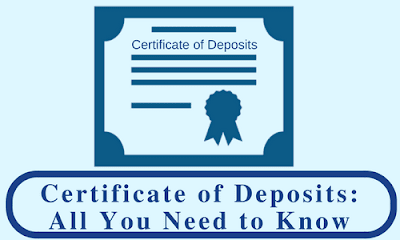 A commercial bank can issue Certificate of Deposit as per their requirements. A financial institution can issue Certificate of Deposit within a limit prescribed by RBI. A thumb rule for FI is that CD together with other instruments like term money, term deposits, commercial papers and inter-corporate deposits should not exceed 100 per cent of its net owned funds. It can be issued to individuals, corporations, companies, trusts, funds, associations etc. The nonresident Indians are also eligible for CDs provided they don’t repatriate the funds. CDs can’t get issued by every bank and authority has confined itself to very few banks of India under Commercial Banks of India and few Financial institutions like IFCI. CDs can be issued by Scheduled Commercial Banks and All-India Financial Institutions (FIs) that have been permitted by RBI to raise short-term resources within the umbrella limit fixed by RBI. The first criteria is that you need to make your deposit the minimum amount of 1,00,000 and that too by a single issuer. Under the issuer anyone can make their investment on companies, firms, trusts, banks and even NRIs but there are very strict guidelines that have been made in the context of NRIs. Once you are ready to make your investment by accepting the guidelines of the bank you will receive a written declaration for your investment and in this declaration everything will be mentioned like your date of making your investment, date of maturity and other information too. The maturity period of CDs that are issued by banks should not be less than 7 days and not more than 1 year from the date of issue. The FIs can issue CDs for a period not less than 1 year and not more than 3 years from the date of issue. If CD has been issued in physical form they can be freely transferred. So they have been released in Demat form so that they can be transferred as per the procedure applicable to other demat securities. Other information is there is no lock-in period for certificates of deposit Banks/FIs cannot grant loans for CDs. They cannot buy their own CDs before maturity. Bank needs to maintain cash reserve ratio (CRR) and statutory liquidity ratio (SLR), on the issue price of the CDs. Notice must be given in at least one local newspaper. Lapse of a reasonable period (say 15 days) from the date of the notice in the newspaper. Execution of an indemnity bond by the investor for the satisfaction of the issuer of CDs. The duplicate certificate can be issued only in physical form. No fresh stamping is required as the duplicate certificate is issued for the original lost CD. The duplicate CD should clearly mention that the CD is a Duplicate one stating the original value date, due date, and the date of issue. Certificate of deposits cannot be issued by all. There are a stipulated set of institutions that can issue the same. Interest rates on these CDs are pretty competitive to interest rates that we get on government securities. It could be marginally higher than depending on the credibility and the market movement of interest rates. Since these forms are issued by banks and institutions the credibility and repayment would not matter too much. These CDs are generally applied for by the institutions in the country. These are the brief about certificate of deposits.